On the Day Coordination, or Wedding Day Management, is a popular service offered by many Wedding Planners but what does it actually mean? On the Day is a service that is perfect for DIY brides who have done all the planning themselves but their venue doesn’t have an in-house wedding coordinator to ensure everything happens on the actual wedding day as it should. In my experience I find most clients who are looking for this service are hosting their weddings either at home or at what is known as a ‘dry-hire’ venue. 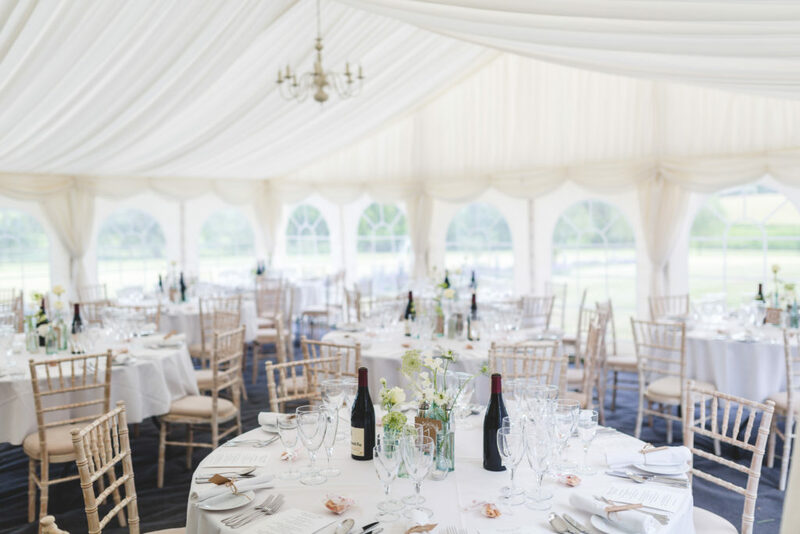 A ‘dry-hire’ venue is basically something like a barn or an exclusive use property where you are literally getting the venue, with nothing else, so you need to bring in everything you need from registrars, caterers, musicians all the way through to furniture and teaspoons! Why you should consider On the Day Wedding management. When you are hosting your wedding at home it can become really stressful thinking about what is actually going to happen on your wedding day. Who is going to make sure parking is done correctly? Who is going to make sure the house is locked up? Who will ensure the band arrive on time etc? – the list is endless but I will go into the typical wedding day tasks in a little while. It can be a massive worry that you and your parents (or whoever the house belongs to) will feel very responsible for everything happening and miss out on enjoying spending time with your guests and celebrating your very special day. This is why the On the Day Coordination service is so critical. I am going to run you through a ‘ typical’ scenario with my clients who would book this service. So, they are usually having a marquee wedding on some land owned by their family or in their parents’ back garden. They have booked quite a few of their key suppliers a year or so ahead of their wedding date but know that they need someone on the day to let them relax and enjoy their day, and most importantly so their parents can enjoy the day! They will approach me for this service and I will take a deposit and hold the date for them. I only work on one wedding a weekend so I take bookings for On the Day Coordination about 8months prior to the wedding date.The actual service will kick in 4 weeks before the wedding date, at which point I will visit the site for the wedding with my clients and begin the handover. My clients will have booked all their suppliers and will have their day all planned out so my standard On The Day service does not include any supplier recommendations or negotiations. In the four weeks before my clients’ wedding my focus is to become a ‘clone’ of them so that I know everything they do, it is really important I know why they want certain things to happen and all the intricacies they have planned so I can be completely armed with as much information and detail as possible in the event that something needs a quick change of plan on the day or a decision making behind the scenes. I review all supplier contracts and check that what my clients are paying for is what the suppliers are expecting to deliver. I also produce one reference timeline for the whole day based on all this information. In this period I am in close contact with my clients to make sure they double check the timeline is inline with what they want, at no point do I take over the decision making, it is very much a collaboration. During this final month I also check-in with any key on the day suppliers such as the caterer, photographer, celebrant, florist, musicians, transport companies etc to introduce myself, confirm details and timings. What happens on the actual wedding day? Double checking table layouts, place names, menus, making amendments for any last minute dietary updates or guest changes. Coordinating any transport, checking it all runs to time and that everyone is in the right place at the right time. Checking in with parking attendants. Work with the photographer to make sure they have the most up to date list of group shots and any other specific shots the couple want. Confirming timings with them, check they have parked ok and know where to go when (eg ceremony location). Check the make up and hair is running to time. Ensure the florist has delivered the buttonholes to the correct venue and the bridal bouquet is ready for when the bride is to have professional getting ready shots taken. Double checking front of house plans with the catering team, informing them of any delays that may occur and impact them from the ceremony through to the end of their service. If there are any timing issues we work together to make sure things run smoothly, making the necessary decisions behind the scenes. Double checking the contingency plan with the relevant suppliers and continually checking the weather forecast as the day progresses so I can kick that into action if required. Work with the ushers to make sure thank you gifts are in the right place, orders of service are organised, priming them for group shots etc. Check generator is running ok.
Light any candles/turn on any lighting required. Check heating and the thermostat in the marquee. Make sure the cake is delivered on time and set-up correctly. Frequently check the toilets are all clean and tidy. Coordinate any announcements that are needed. Assist and coordinate any furniture resets or decor changes. Check the musicians have everything they need, power, chairs, lighting, food and refreshments etc. I carry a spare set of all key documents from the readings for the ceremony, through to seating charts and dietary requirements as back up for the other suppliers. I often find the tools in my emergency bag come in useful, from spare phone chargers through to a mini sewing kit! My emergency kit is ever evolving! The list is pretty much endless, I don’t stand around with a clipboard and watch, I am very much hands on and work behind the scenes doing whatever is necessary to ensure my clients’ day runs super smoothly and exactly how they want! Of course there are always emergencies which no amount of contingency planning can guard against, from sudden bad news effecting the bridal party, through to freak weather conditions but this is where my vast experience pays dividends, staying calm under pressure and thinking on my feet means that if anything completely unforeseen does unfortunately happen, you have a very experienced member on your wedding team who’s only priority is sort that emergency out! Having such a specific focus is really useful because I can then be the central point of contact to avoid confusion and make sure the right actions are taken by the rest of the wedding suppliers. Quite often catering companies will bring their own Event Manager to run the front of house but this is not the same as having a freelance Wedding Planner with an On The Day Coordination service. The priority for Event Managers is to make sure the food is presented in the right quantities, to the right guests at the right time and the catering team are doing what they should be, whereas on the day I would have a wider view of all the different suppliers and all the timings. I have worked with some amazing catering teams and when we all pull together it is by far the most successful wedding day for my clients. Many catering teams are more than accommodating when it comes to doing extra little tasks for the bride and groom on the day (such as lighting candles, checking the band are fed, making sure food is served on time) but these tasks are always secondary to their main focus and there does come a limit to what they can realistically deliver under their jurisdiction. I hope that helps de-mystify the On The Day Coordination service but if you have any questions please do email me: info@emilyandrewevents.co.uk or join my Facebook group: Plan It Like A Pro which is just for brides and grooms planning a marquee or DIY wedding.